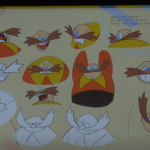 Alongside the release of “MAXIMUM OVERDRIVE”, the 130-track soundtrack to the soon-to-be-released Team Sonic Racing, comes Sonic Sound Team Director Jun Senoue‘s third installment of “The Works” compilation album series. 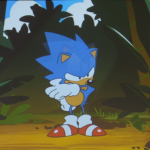 SEGA today release the first of five remixes featured in the Sonic Mania Adventure cartoon series, commencing with a guitar-driven version of the “Big Arms” theme from Sonic 3 / Sonic & Knuckles, rearranged and performed by Sonic Sound Director Jun Senoue and Sonic Mania composer Tee Lopes. You can check out other work by Tee Lopes, including his latest album Youniverse on Bandcamp. Check the track out in all of it’s glory below! 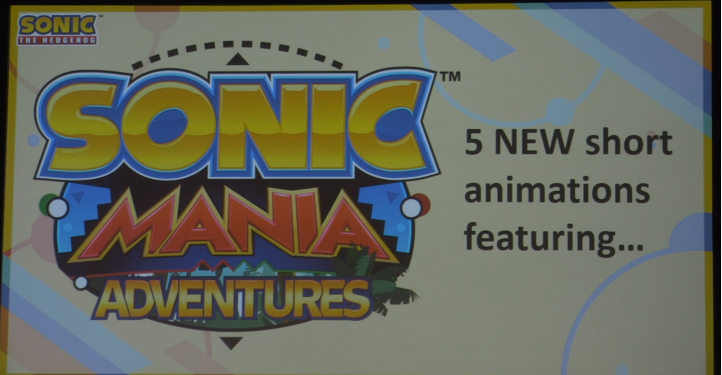 Did you enjoy Sonic Mania Adventures? Do you want more? 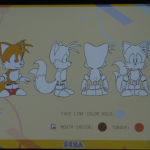 Well, SEGA’s got a heck of a gift for you: a surprise holiday special! 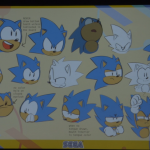 This special, like the rest of the series, is written and directed by Tyson Hesse, with music from Tee Lopes and animation from Neko Productions. 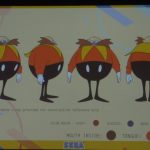 With SEGA’s panel at SXSW this past week, eager attendees got their first extensive look at the finally unveiled Sonic Forces. 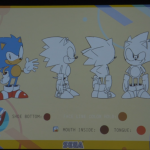 Sonic Team looks poised to deliver a game that builds upon the foundations of Colours and Generations, and things certainly seem to shape up that way if an early preview of modern Sonic’s gameplay is of any indication. 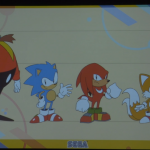 The panel then shared the instrumental version of the main theme to Sonic Forces, also revealing that the game’s sound direction will be led by Tomoya Ohtani. It didn’t take too long until fans began remixing the energetic (and dare I say, kinda anime opening-esque?) theme song, and while it will still be a while until we hear the official vocalized version, one awesome cover in particular might just help with the long wait. 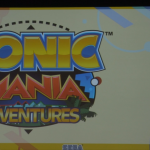 Have a listen to Sonic Mania composer Tee Lopes’ rendition below, and share your thoughts with us in the comments! Sonic Forces is scheduled for launch this holiday season for Nintendo Switch, Xbox One, PlayStation 4, and PC. Sound Test Saturday: See the Sights! Experience the Sounds! Visit Amazing Studiopolis! Ladies and gentlemen, it is good to be back. 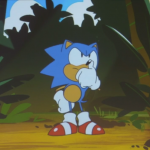 Long time readers might remember an old weekly feature called “Sound Test Saturday,” where I highlight Sonic music remixes from across the vastness of the Internet—either found by me or submitted to the site by you—bringing you double the audio goodness alongside Mash-Up Monday. I’m happy to announce that this feature is a-go once again! 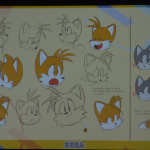 Tcommemorate this occasion, we’re kicking things off with two unique takes on the theme for Studiopolis Zone, composed by Tee Lopes from the upcoming Sonic Mania. First up below is a freestyle rap by Smooth4lyfe over the original song, with catchy lyrics that I can guarantee you won’t be able to listen to the song again without! Continue reading Sound Test Saturday: See the Sights! Experience the Sounds! Visit Amazing Studiopolis! Sound Test Saturday: Summer is Upon Us! Rocketing temperatures, trips planned to a number of resorts, schools closing their doors, burdens of all sorts being lifted from people’s shoulders… It can only mean one thing! What time is it? Summertime! It’s our vacation! And, to celebrate the oncoming season, it’s only fair that this week’s Sound Test Saturday joins in on the party as well, wouldn’t you say? We’ve got a total of five tracks to mark this joyous occasion (barring insanely hot temperatures), so kick back, take a nice swig of whatever you have in your glass or bottle, and relax! First up on the playlist is a cover of Emerald Coast’s “Azure Blue World” from Sonic Adventure, put together by jparecki95! Continue reading Sound Test Saturday: Summer is Upon Us!